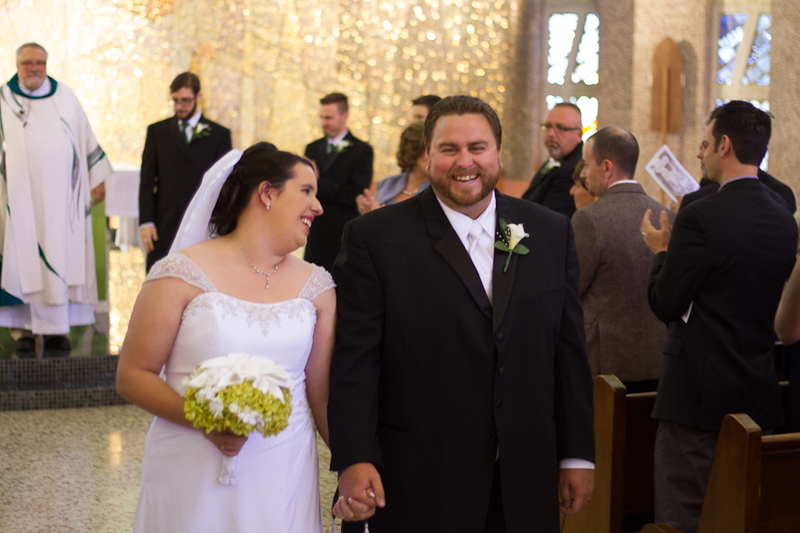 Julie and Mike were married at St. Rita’s church in West Allis and their reception was at the Schwanhof banquet hall in Menomonee Falls. If I had to put a one word label on Mike and Julie’s wedding day, it would be “happy”. 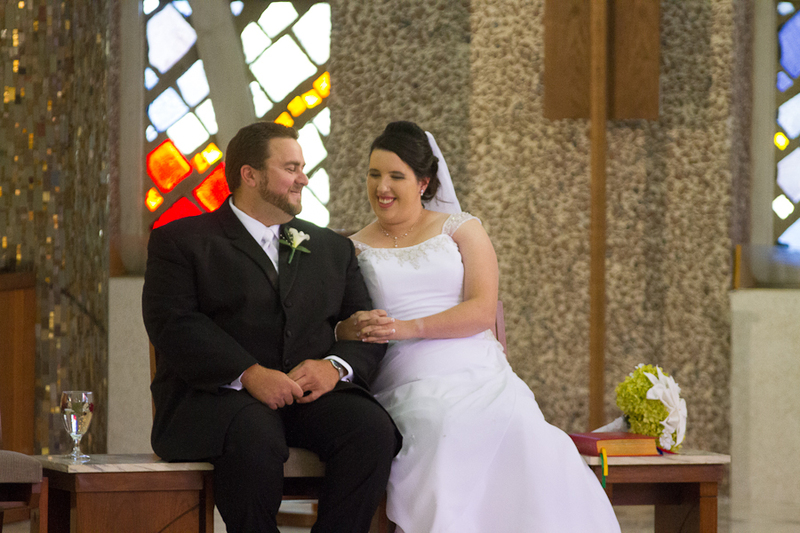 It was so easy for me to catch happy moments between the two of them – and even between other guests at their wedding. Everyone was just plain happy. I think by looking at my photo favorites, you’ll see what I mean. It was absolutely beautiful to see a couple so much in love. Congratulations Julie and Mike. Enjoy your photos! Don’t forget that if this post get 15 comments on it, Julie & Mike will receive free prints! Leave your comments below and help them out! I love the black and white shot of the two of us on the bench! This was a very special day. I was honored to be able to share the day eith these two as a bridesmaid. I wish nothing but the best for this dynamic duo!! Love you Julie and Mike! Beautiful! Great color and what a nice tribute. Such gorgeous pictures to capture a truly wonderful day! I can’t even pick out a favorite because they are all so wonderful. Congratulations Mike and Julie! I like the one of Mike and mom. Once in a while right in the middle of an ordinary life Love gives us a Fairytale … Simply beautiful Mike & Julie! The one on the bench is my favorite as well! It was a perfect chance to relax after the ceremony and before all the dancing began! 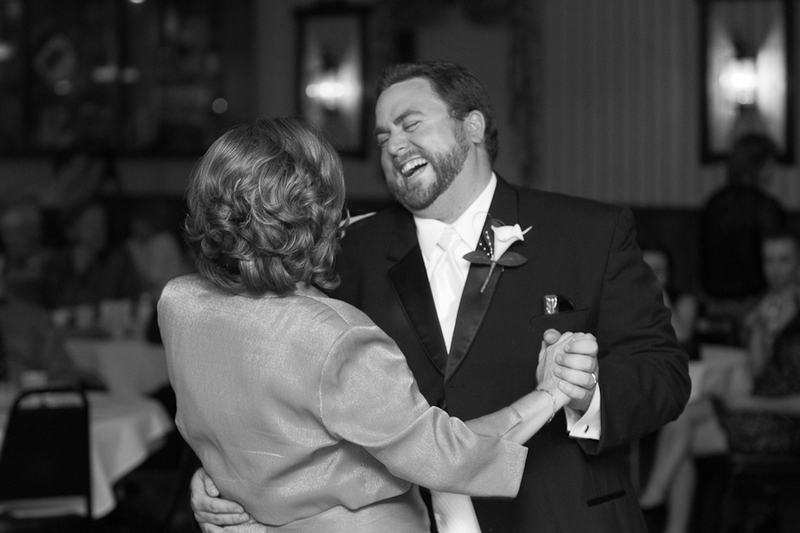 The one of Mike and mom dancing is the best. I liked all of those pictures. I don’t have just one favorite. Looking forward to seeing the rest of the pictures. 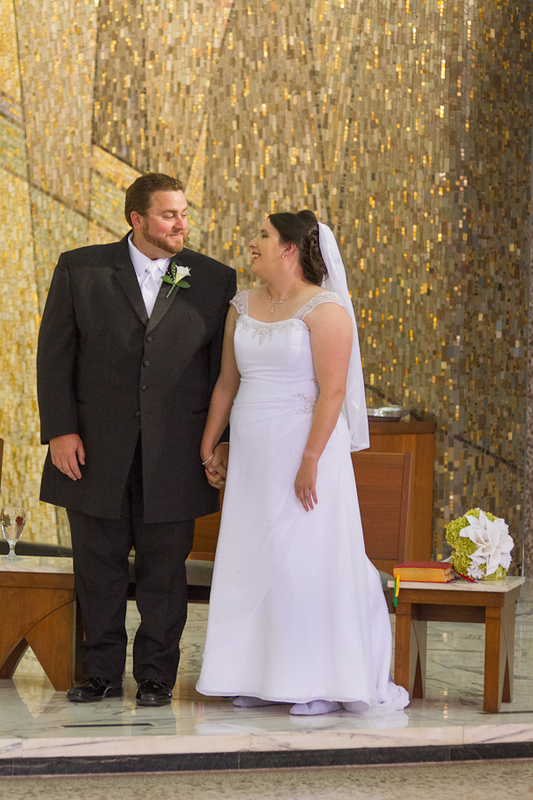 Great pictures that captured the joy of that special day. 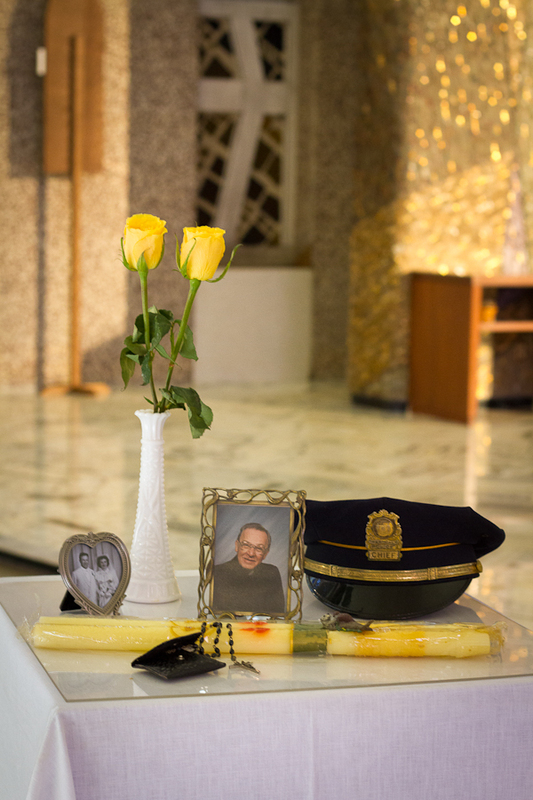 Also liked the picture of the memory table. Hailey Senior Pictures – October 7, 2014 Need A Good Wedding DJ?